Hi Friends! Passover is an important Jewish holiday that is a time of family gatherings, special foods, and traditions. During the eight-day celebration, many rituals are observed that include candles, more cooking in the kitchen and hot water. This can increase risk of fires and fire related injuries. Weeks just before the Jewish ritual of Peseach, there is an increase of burn and scald accidents. Be sure to take extra precautions during this time. For those who observe Passover, here are some simple Dos and Don’ts to follow that will keep you and your loved ones #FDNYSmart. Do keep candles out of reach of small kids and pets. Do create a kid-free safety zone of at least 3 feet away when using the stove or oven. Do wear shorter or tighter fitting sleeves to avoid catching on fire. Do keep area around the stove clear of easy to burn materials. Do make sure your pot handles are turned inward to make sure they won’t be pulled down or knocked off. Do treat burns immediately with cool running water and seek medical attention. Don’t have combustibles close to burning candles. If using real candles, make sure easy to burn materials are at least 4 feet away. Don’t be distracted when cooking. Don’t cook at a higher setting, cook at an indicated temperature. Don’t use water to put out a fire. It will cause splashing and spread the flames. Another tip is when searching for the Chametz, keep candles away from bedding, tablecloths, clothing or anything that can burn. Use a flashlight for hard-to-reach places. 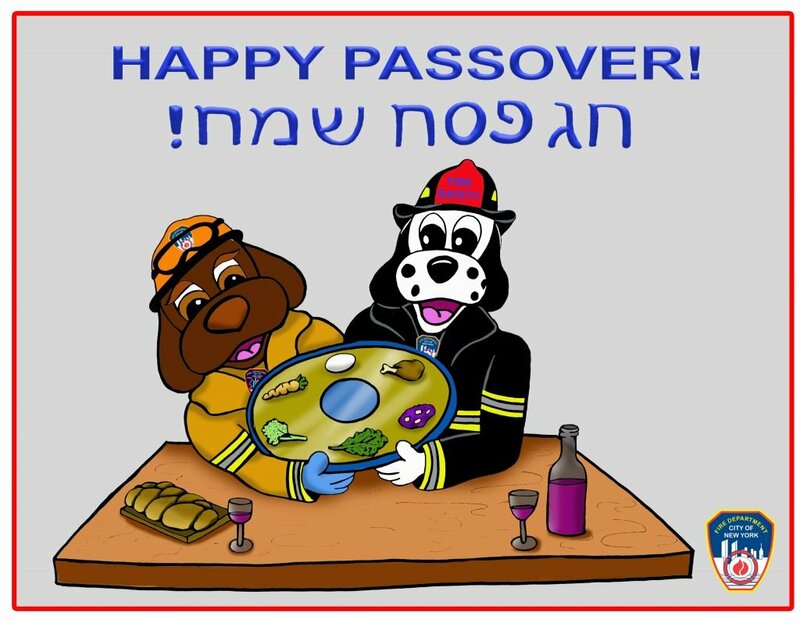 For more information, you can read our Fire Safety Materials for Jewish Observances here. Most importantly, remember to have a working smoke and carbon monoxide alarm. For more information, you can check out our top safety tips here.